It is most popular in the countries, Germany, France & Turkey. 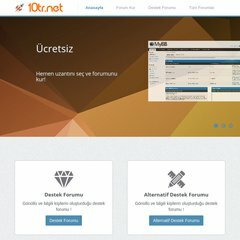 Topics: Anasayfa, English, Türkçe, İrtibat, All Forums, and Bize Ulaşın/contact. The estimated 2,059 daily visitors, each view 4.40 pages on average. It is hosted by Comcast Business Communications Llc New Jersey, using nginx/0 web server. It has 1 DNS records, ns.10tl.net. The programming language environment is PHP/5.2.6-2ubuntu4.6. PING (75.144.88.81) 56(84) bytes of data. Website load time is 1781 milliseconds, less than 63% of other measured websites. As well, a ping to the server is timed at 57.2 ms.